"Florilegium: Music Among the Flowers"
Buy your ticket here. Seats are limited. 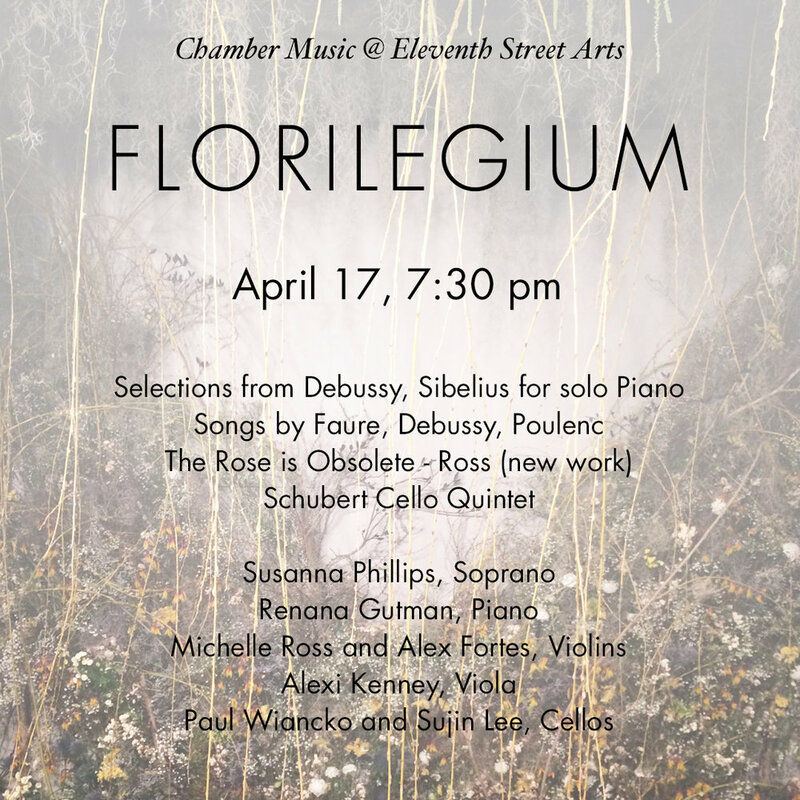 We invite you to experience Florilegium: Music Among the Flowers. Curated by violinist Michelle Ross, we present French art-song, a new composition re-imagining of the poetry of William Carlos Williams, and the sublime Schubert cello quintet in a uniquely intimate setting surrounded by the painting, illustration, sculpture and floral designs of Florilegium.